Furniture Village provide a useful wardrobe designer tool that you can reach after clicking on their icon below. There is obviously a massive range of options from children's to budget to expensive, the companies on this page certainly give you a good starting point for research. Furniture Village have a great on-line configurator, that will allow you to work out what you need to create your perfect wardrobe space. 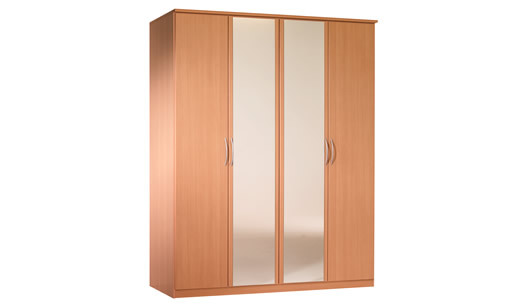 The Lima Beech effect double mirror wardrobe is around £300, which is an example of the standard sort of wardrobes that are available in the UK. 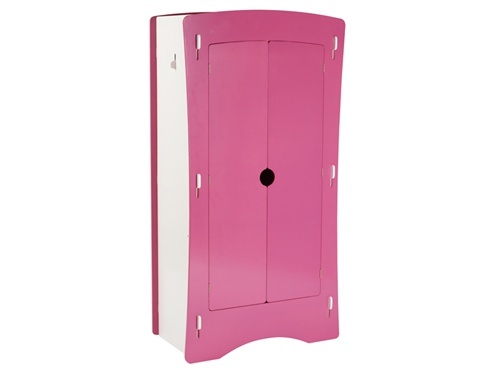 The Kidsaw Children's Furniture Blush Double Wardrobe is one of several available that provide a characterful bedroom wardrobe solution for kids. Newark Solid Oak Triple Wardrobe which is 145cm x 184cm in size, at around £700, is a good example of getting what you pay for. It is solid, and will last a lot longer than flimsy versions.